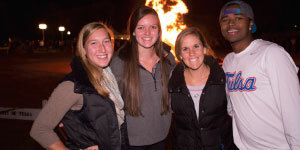 Distinctive programs give Collins College of Business students a competitive edge. TheInternational Business and Language degree combines a major in International Business with proficiency in a foreign language. TheEnergy Management degree is accredited by the American Association of Professional Landmen (AAPL). Theaccelerated 3+3 Business and Law, 3+1.5 MBA, and 4+1 Accounting degree programs allow students to earn both an undergraduate and graduate degree in a compressed time frame. TheStudent Investment Fund simulates an investment management firm in which Finance students manage more than $5 million in real money. Theminor in Innovation and Entrepreneurship, NOVA Fellowship, and Studio Blue encourage creativity and development of entrepreneurial skills. 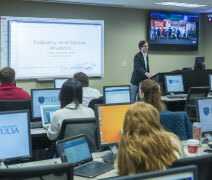 To learn more about the Collins College of Business, visit business.utulsa.edu. 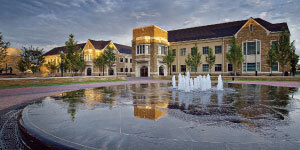 Contact TU to arrange a campus visit at utulsa.edu/visit,or call the Office of Admission at 918-631-2307 or 800-331-3050.